Sweet, creamy, often ending in -tini and served with a sugared rim, typical chocolate cocktails don't deserve much respect. But these do. Sweet, creamy and often ending in -tini, typical chocolate cocktails don't command much respect from serious drinkers. But this Valentine's Day, some of the country's top bars are using chocolate to make cocktails that aren't just palatable, but phenomenal. The Hawthorne, Boston At this cocktail lounge from the team behind Island Creek Oyster Bar and Eastern Standard, drinkers can order an elegant after-dinner drink called the Carrier Flip. The primary ingredient is syrup made from double-strength brewed Rose Cascarilla tea, a black tea with rose petals and roasted cacao pods. Bartenders shake the floral, chocolaty syrup with aged rum, Angostura bitters and a whole egg, then strain it into a large old fashioned glass before garnishing it with grated chocolate. The Old Sage, Seattle This brand new bar specializes in smoky foods and smoky whiskeys. The Dark in the Shot features spicy, vanilla-tinged Glenfiddich 12 year Scotch, Gran Classico (an aromatic, bittersweet liqueur made with herbs and roots including orange peels, rhubarb and wormwood), locally produced Rain City Drip Coffee Liqueur and Scrappy’s chocolate bitters. The cocktail is built in a small rocks glass with ice and stirred. El Gran Malo, Houston Made with spiced Abuelita melting chocolate, the Mexican Hot Chocolate at this tequila bar is ultra-dark and rich. It’s served with a shot of one of the bar’s 50 infused tequilas, like habanero-vanilla or pecan-cayenne, along with Del Maguey Crema de Mezcal—a mix of roasted agave syrup and mezcal—and green chartreuse. Gracias Madre, Los Angeles This vegan Mexican spot (from the restaurateurs who created L.A. cult hit Café Gratitude) serves a chocolaty twist on a negroni. 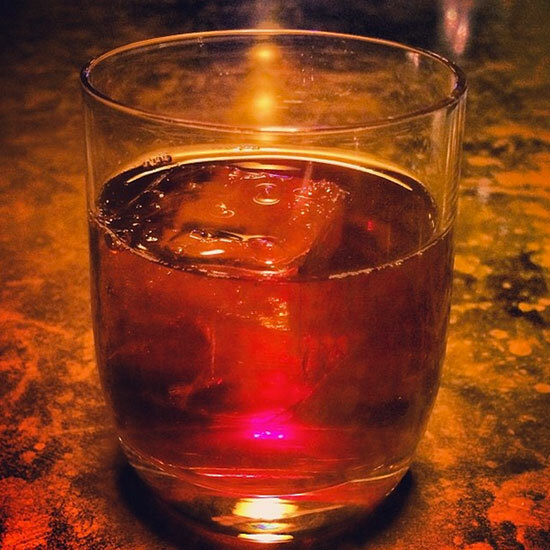 The house-carbonated Mexoni is made with cacao-infused blanco tequila, Gran Classico and Punt e Mes vermouth.